Jamie Whincup continued to set the pace at Symmons Plains, beating Red Bull HRT team-mate Shane van Gisbergen to the fastest time in Saturday practice. 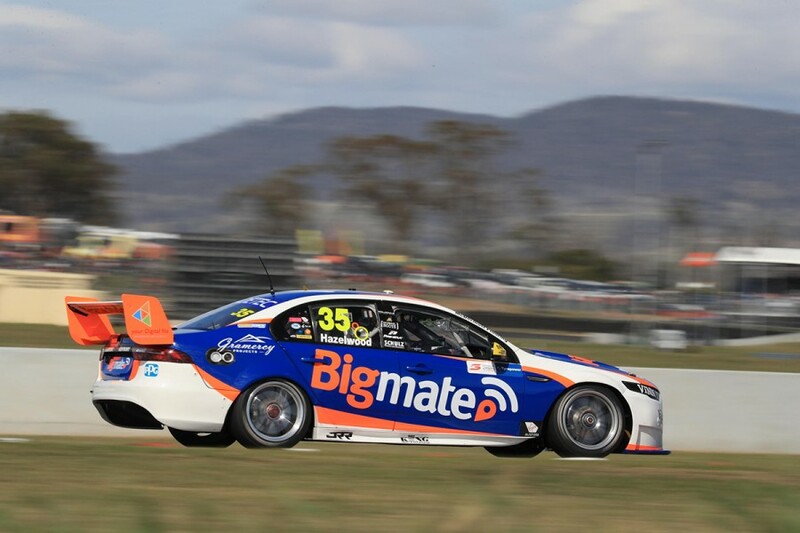 The Holden duo topped a Supercars session each on Friday and again set the pace in the 20-minute Practice 3, the final run before ARMOR ALL Qualifying. Van Gisbergen was on top for the majority of the session having set a 50.9370s during the opening minutes. 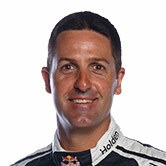 That stood until Whincup recorded a 50.7395s on his final run, four minutes from the chequered flag. 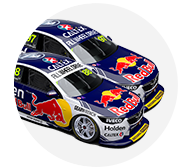 Van Gisbergen’s final effort improved his own time but failed to move the benchmark, falling 0.0716 seconds short. A change in wind direction since Friday proved a challenge for the drivers and contributed to slightly slower times than the record-breaking speeds from Practice 2. “Yesterday we had a big tailwind, down the back straight, so you could go crazy deep into the hairpin, then it was hard to pull up at the end of the back straight,” said Whincup. “Now it’s the complete opposite, so you’ve got to be a bit careful into the hairpin but you can go super deep down the back. “To go faster, yesterday’s conditions are great, that’s why we saw those times. “It doesn’t really matter what the time is, it’s just trying to be quicker than everyone else. 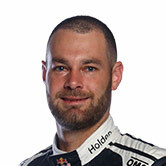 Added van Gisbergen: “With the big headwind down the back straight, a slipstream is worth so much. I just didn’t have one and lost a fair bit. Scott McLaughlin ended up as the best of the rest in third, 0.1002s slower than Whincup. David Reynolds was fourth after a session that included a close-call with van Gisbergen when the Kiwi suddenly backed off through Turn 3. “Luckily I’ve got cat-like reflexes because I saved my car and I saved his car,” said Reynolds. “I’m not sure what he was thinking. I think Craig [Baird, Driving Standards Advisor] has to have a chat with him. Van Gisbergen shrugged off the incident, which commentator Mark Skaife had described as a “full-on brake test”. “I mucked up my lap, and carried on, the corner was ruined,” explained the championship leader. Rookie Todd Hazelwood was an outstanding fifth in Matt Stone Racing’s Ford ahead of Mark Winterbottom, Garth Tander, Tim Slade, Cameron Waters and Craig Lowndes. Chaz Mostert was again down the order in 15th; the Supercheap Ford among those who will have to fight their way through Q1 this afternoon under the new qualifying format. The maiden session with the new format starts 12:55pm, setting the grid for this afternoon's 50-lap race.